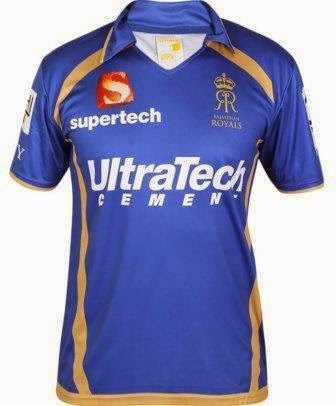 We are here providing you the detailed information about the Rajasthan Royals of the and the other information relating to the true prediction of the Indian Premier League all matches but before you take the prediction tale a look on the various team and its formation and the players are in it. What is it's weakness and what are its strength so that it will be easy for you to predict about the result and you have a slight idea about who is going to win the match? We are also providing the various ways from where you can book your tickets online. Ajinkya Rahane: A wonderful top order batsman and the captain of the team. He is a Right-handed batsman with Bowling action as a Right-arm medium. He has enough experience of playing in an international match. Ankit Sharma: A Left-handed batsman with the bowling action of Slow left-arm orthodox. A new player in the team. Anureet Singh: A right Arm medium bowler of the team an IPL player has not played single international matches yet. Ben Stokes: An English player with enough experience of playing on any soil without any difficulty. His Left-handed batting style and Right-arm fast-medium bowling action make him good all-rounder for the team. Dhawal Kulkarni: A Right-handed batsman who have enough experience of playing in the domestic ground and enough experience of playing international matches. Heinrich Klaasen: A South African player who is known for playing as the wicket-keeper batsman. Known for hard hitting. Jaydev Unadkat: An IPL player who also played many international matches. His main role as a bowler with the action as Left-arm fast and batting action Right-handed. Jos Butler: A right handed batsman with no bowling experience but an English player with lots of batting experience and he is an international player too. Steve Smith: A wonderful player of Rajasthan from the country like Australia and his role is as the top order batsman his batting style is a right-handed batsman and bowling style is Right Arm leg break. Ben Laughlin: One of the best T20 players who is in the team as a bowler his bowling action is Right-arm fast-medium. This team is one of the former team of the league and the first champions whose home ground is Sawai Mansingh Stadium, Jaipur and another stadium are Sardar Patel Stadium, Ahmedabad. The team color is blue and is able to win the league only one time which is in year 2 but are able to they are unable to qualify for the Champions League.